A cylindrical Head Socket Cap Screw in Zinc Plated. 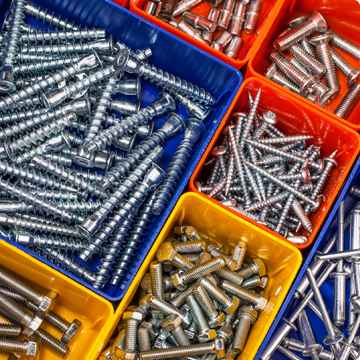 Commonly used as a standard fastener in Steel Fabrication, Hydraulic, Braking System, Automotive and Furniture Manufacturing. The Cap Head has a deep hexagon socket and a hex driving bit or wrench key is used to tighten the screw. The length is measured from below the head. Grade 12.9 provide the highest level of strength, clamping and fatigue resistance when tightened to the recommended torque figure they are ideal for high stress applications or for when a high strength fastener is required.